Tag Archive | "mortgage note"
Today I received an email from “Construction Insider” concerned about banks suddenly playing hardball and calling in construction loans. I work in the construction business and something has been creeping to the forefront of my attention for the past few weeks and now it seems to be moving full steam ahead. Banks are forcing developers/builders (especially smaller ones) to give up their properties (unsold homes and lots). Banks say the reason is that the properties in question are no longer performing assets. I am sure there are some loans out there that are not performing and the owners are going under. I am equally sure that there are plenty of developers that are still selling homes – just not at the pace originally planned on the pro formas. Having inside information on one of these scenarios that happened today, I cannot help but wonder what is really going on? The bank told a small developer/builder I work for that they were taking back his ongoing subdivision. He is selling houses and updated pro formas would indicate that the current sales pace would exhaust all remaining lots within 33 months. Yet the bank stated they would only give him until April 15 to find alternative financing. The bank is also willing to let him buy the subdivision at a 33% discount to what is currently owed. If he is unable to obtain this backing, the bank will let him walk away without penalty or consequence so they can write it off. I have been on the phone trying to put some of these pieces together. It seems there are many banks doing the same thing. However, there is apparently no interest [or ability – Mish] from anyone wanting to pick up land/lots at 30% – 50% discounts to today’s prices. Another interesting point is that the banks all state that they must have these situations written off or taken care of by the end of Q2. Why the end of Q2? And why do so many banks seem to be simultaneously doing this? Is it possible that there is some government incentive to the banks to meet this timeline? And how much will this cost the taxpayers? There is something extremely concerning about this whole thing, especially from the standpoint that many banks appear to be acting in concert, all with the same specific timeline. Any thoughts you have would be greatly appreciated. Whats The Difference between a Mortgage & a Note? The terms loan, mortgage, deed of trust and note are sometimes used interchangeably by parties to a real estate transaction. Only when you get to settlement (when you see the huge stack of papers on the closing table) do you realize there is a difference. So let’s cover the note, the mortgage/deed of trust, and the differences between them. A note (or promissory note) is – very simply – a contract whereby a party makes a promise to pay a sum of money to another party under specific terms. In real estate, it is typically a borrower agreeing to make monthly payments of principal and interest over 30 years to a lender. The note has virtually nothing to do with the property itself, and can technically exist without any collateral at all. 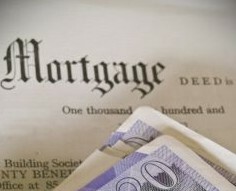 If the borrower doesn’t pay, the LENDER can sue “under the note” and obtain remedies for breaching that contract. A “servicer” aka “debt collector” cannot if they have no equitable interest. While there are differences between a mortgage and a deed of trust, let’s ignore them for a moment, and use the term mortgage (because it’s only 1 word). A mortgage is actually a transfer of an interest in property. While a mortgage is tied to the underlying debt created by the note, it is not a promise to pay the debt. It really isn’t a “promise” to do anything. Instead, it contains “granting” language – like a deed – which gives the lender the right to take the property if the borrower goes into default and doesn’t pay under the terms of the note signed in “BLUE” ink. – A note is signed by the people who agree to pay the debt. A mortgage is signed by those who own the property being mortgaged. In a typical residential setting, signers of the note and the mortgage are the same, but they do not have to be. In a commercial context, you will often see the corporate entity which holds the property sign the mortgage, while the principals of the entity sign the note. – A mortgage needs to be recorded in the county or town recording office, the note does not. Instead, the note goes directly to the lender. The Lender Foreclosing must be the Owner of the NOTE along with valid Instruments.